I recently attended a birthday party for a friend. There were sixteen people at the party — I knew four of them — one’s a very close friend of mine. We were all sitting down to eat when somebody used the word retard. Instead, the girl-who-used-the-word, turned around and asked me why “that word” bothered me? The last one is what really hit home for me, and I was ready to burst but kept my cool. I wanted to say, “No, it bothers me because I have a sister who’s retarded,” just to see what her reaction would be, and what would be the next excuse she would have for using “that word.” Instead, I resisted, and (slightly more aggressively than before) explained that I have my own personal reasons for my reaction when people use “that word,” and could she please respect my decisions. At this point, I realized I wasn’t going to change this girl-who-used-the-word’s mind, and that in the process had put myself into an agitated mood. When I find myself in a situation like this, I like to use a technique that I practice when working with kids. The main point of the technique is to bring the conversation back to something to which both parties can relate — individually and together. I asked the girl-who-used-the-word to respect me as a person, and just use a different word. Just like when you ask someone on the bus not to put their feet on the seat. They might not think it’s a big deal, or see why it would bother someone, but usually out of respect for the other person they’ll take their feet down. People in any setting should be able to have safe conversations with each other — to learn and discuss topics that spur different opinions, and in this case, not put the other party guests in an uncomfortable situation. I ended up leaving that party feeling very irritated. It wasn’t just because “that word” was used, but that I was put into a compromising position — either abandon my principles or come off as an opinionated person who went off on a rant, lecturing someone at a birthday party. When I mention “that word,” I am not just talking about the word “retard,” or “retarded.” It’s about so much more than that. 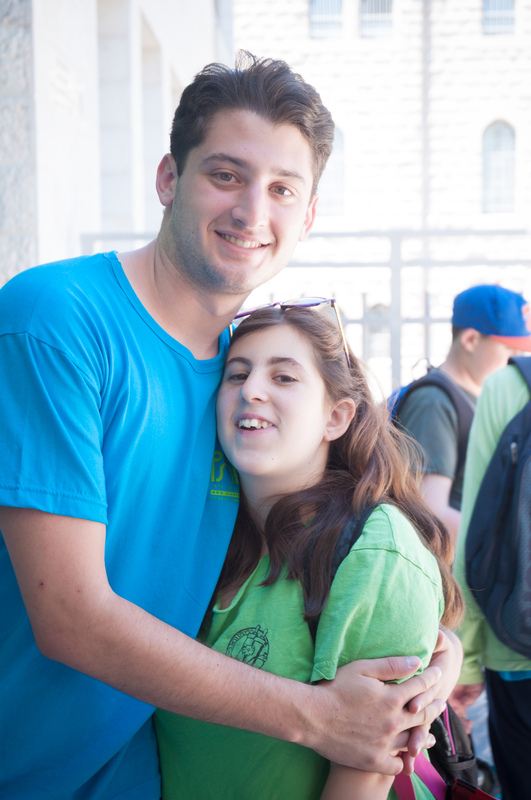 Yoni is the Teen Leadership Coordinator for Shutaf. Thank you for speaking out, or writing out in this case. I find myself in the similar situations with “The word”. I am called sensitive because I work with teens and young adults with disabilities. Things change, and it’s not so easy to ignore when you have seen friends with disabilities burst tears with someone using it in a negative way then looking up at me saying “That word hurts Becca, why are they saying that” or “I am not. I am not!” to a random young man at summer camp as a single tear rolled down her check. Your heart just breaks. You were the first blog that came up in a google search of approaching the subject with others and I appreciate your heart. Thank you. It’s an important conversation to have. How to respond when people use the word and how to deal with how that goes.